For the last four years the bloody Syrian Civil War has evolved into a multi-party stalemate with small pieces of territory shifting back and forth between the competing forces and with the ongoing killing of fighters and civilians. Recent events may portend a change in this dynamic. 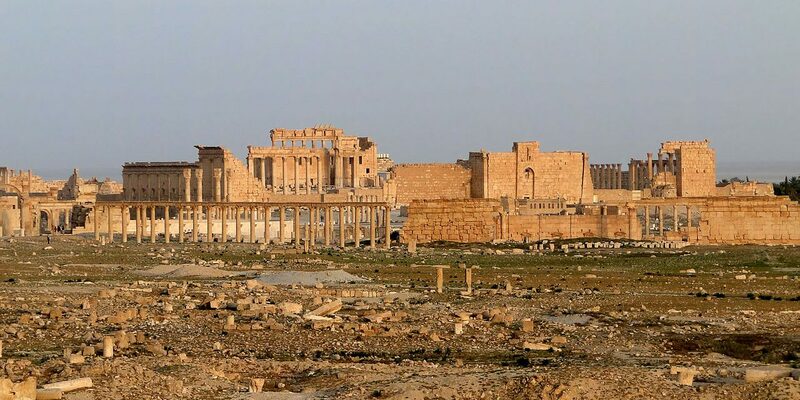 On May 21, Islamic State (IS) forces pushed Syrian government forces out of the ancient city of Palmyra and took control of the strategically located city. While the main-stream media focused attention on the ancient ruins in the UNESCO World Heritage site and the fate of the endangered Arabian Ibis, the potential implications of this event for the medium and long-term dynamics of the war have largely gone unexamined. Palmyra, located in the geographic center of Syria, astride a major highway linking Iraq in the east with the more populated portions of Syria in the west is geographically situated as a major hub for military deployment. The political and military dynamics that led to the fall of Palmyra also shed light on the shifting power balance in Syria. The shifting balance not only has military implications, but also, and perhaps more importantly, significant psychological implications for the minority populations in Syria. Since the beginning of the war, the strategy (if you can call it that) of the U.S. and its western and regional allies has been to harass IS forces from the air and to arm and train so-called moderate opposition forces in Syria opposed to the Assad-led government. This internally contradictory policy has led to a bizarre scenario in which the U.S. fights Assad on one hand and supports him in his battle with IS on the other. The results of this policy have had a negative impact on the Syrian government’s ability to confront IS forces. The U.S. does not use air strikes to support Assad forces in their battle with IS. It does, however, support the “moderate” rebel forces and the Kurdish militias against IS. This has led IS to conclude that, although it doesn’t have a primary objective of overthrowing Assad, it is safer to concentrate its efforts against the Syrian government forces. The policy also has encouraged the Army of Conquest, an alliance among various Islamist groups, including the al-Qaeda-linked al-Nusra Front and the Muslim Brotherhood-affiliated Fylaq al-Sham and other smaller groups backed by Qatar, Saudi Arabia, and Turkey. Combining this strengthening of opposition forces with the difficulty that Assad is experiencing in replacing the manpower lost puts the Syrian government in an increasingly difficult position. This played out in Palmyra when government forces were shifted from Palmyra to Idlib to confront a growing rebel threat. This depleted the forces in Palmyra and IS took advantage of the situation to take over the city. Now in control of this central location IS is well positioned to take advantage of similar situations in the future. The changing dynamic also puts Assad allies, Iran and Hezbollah, in a difficult position. Unless they are willing and able to go all out to defend the Assad regime, they may need to recognize reality, commit to defending Lebanon and accept the breakup of Iraq into Kurdistan, IS, and Shiastan in southern Iraq.